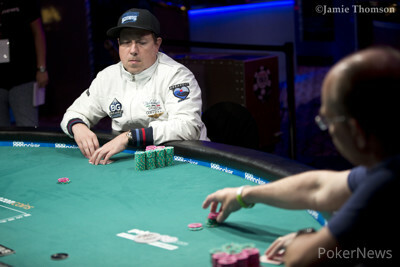 Shchemelev bagged a modest stack on Day 1 and was 72nd in chips of the remaining 224 players entering Day 2. He cruised into the money from that point and was 7th of 29 players remaining for Day 3. 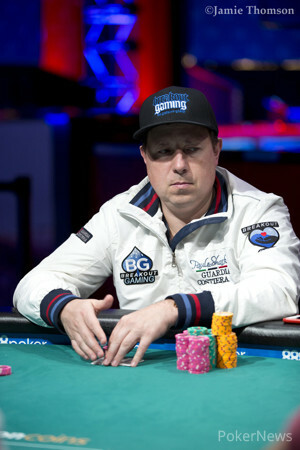 He steadily ascended the chip counts and was second when the final table was reached. 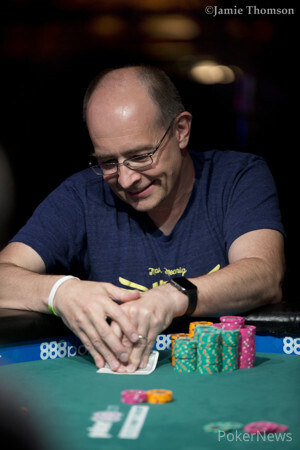 He and eventual runner-up Howard Smith traded the chip lead back and forth throughout the final table before the inevitable heads-up battle began. Shchemelev began at a slight chip disadvantage but quickly took the chip lead. Smith battled back to get things even, but Shchemelev scored the victory shortly thereafter. Vladimir Shchemelev limped on the button and Howard Smith checked his option. The flop came down and Smith checked. Shchemelev bet 50,000, Smith check-raised pot to 230,000, and Shchemelev called. The turn was the and Smith bet the pot of 500,000. 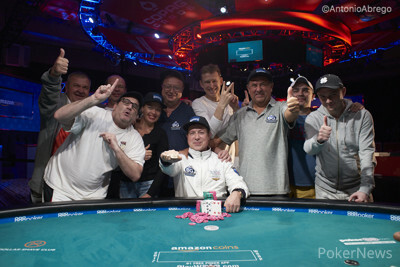 Shchemelev raised, Smith called all in for roughly 700,000 and the hands were tabled. Smith had a set of fives with a rough low, while Shchemelev had a lock on the low and was freerolling to a flush. 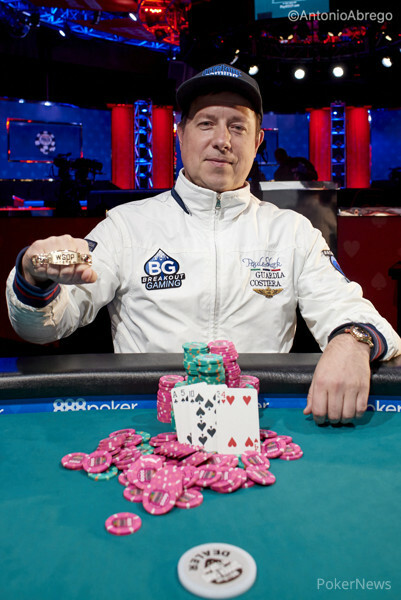 The river was the , giving Shchemelev the flush to scoop the pot and eliminate Smith in second place. 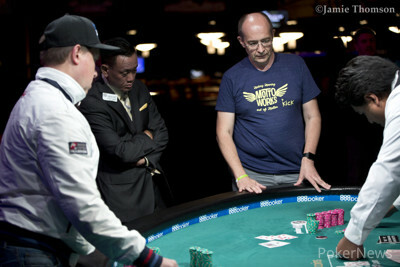 Howard Smith raised to 120,000 from the button and Vladimir Shchemelev called from the big blind. The flop fell and Shchemelev check-called 200,000 from Smith. Both players checked the turn and river. Shchemelev showed for a king-high straight, Smith mucked, and Shchemelev won the pot. Along with a few other pots of similar size, Shchemelev has extended his lead to about 4:1. Vladimir Shchemelev called from the button and Howard Smith checked his option. The flop came and Smith checked. Shchemelev bet 75,000 and Smith called. The turn brought the and Smith bet 175,000. Shchemelev called. The fell on the river and Smith checked. 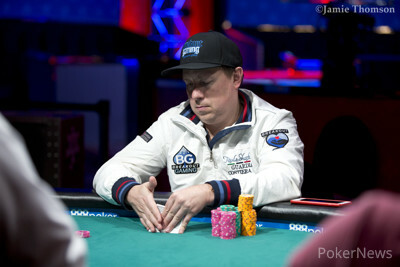 Shchemelev bet 450,000, and after brief consideration, Smith folded and Shchemelev took the pot. Howard Smith raised from the button and Vladimir Shchemelev defended. The flop fell and Shchemelev bet. Smith called, the turn fell and both players checked. The river was the , Shchemelev bet and Smith called. Shchemelev showed for a queen-high straight, besting Smith's for a jack-high straight. Howard Smith raised to 120,000 from the button, Vladimir Shchemelev three-bet to 240,000 from the big blind, Smith announced a pot-sized four-bet, Shchemelev jammed, and Smith called to put himself at risk. The board ran out to secure the double-up for Smith. Vladimir Shchemelev limped from the button and Howard Smith checked his option. The flop fell and Smith checked. Shchemelev bet 75,000, Smith check-raised pot to 305,000, and Shchemelev called. The the turn was the and Smith check-called 300,000 from Shchemelev. The river was the and Smith led for 500,000. Shchemelev called instantly. Smith showed for tens and sixes, but Shchemelev tabled for a set of queens to win the pot. Howard Smith raised from the button and Vladimir Shchemelev called from the big blind. The flop came and Shchemelev checked. Smith bet, Shchemelev raised, Smith three-bet, and Shchemelev called. The turn brought the , Shchemelev bet, and Smith called. The fell on the river and Shchemelev bet again. Smith called and Shchemelev tabled for a queen-high flush and sixty-one low. Smith mucked and Shchemelev took the pot.